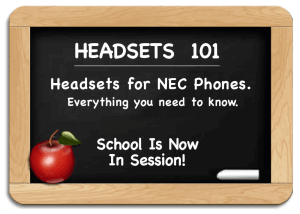 NEC Headsets - Everything You Need to Know for NEC Telephones - Headsets Direct, Inc.
NEC is a leading telephone company and has done an excellent job integrating telephone headset usage into their standard NEC telephones and newer VoIP softphones. 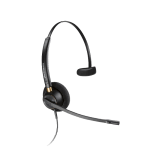 Numerous headsets are compatible with NEC telephones, but finding the correct amplifier or direct connect cable is the key to getting a headset to work properly with your NEC phone. The following guide will explain the compatible equipment you need, including many pictures to simplify the process of finding a NEC headset for your application. Selecting headsets for your NEC phone has never been easier with our how to guide. From first time buyers questions to long time headset users, this guide will provide a deeper understanding of exactly how your headset will work and what you need. Most importantly…be sure to call if you have questions because it’s our support that sets us apart. We’re Plantronics Certified Headset Experts ready to help before, during and after the sale! Make sure your phone has the latest firmware. Programming may be required for EHS cables via NEC tech support. Note 1 If using a wireless product with the lifter accessory, you will need to attach the external ring detector to this phone as the speaker is off center from under the handset. 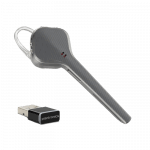 Note 5 NEC proprietary EHS cable can be purchased from NEC to work with Plantronics wireless headsets (MSRP $129.95). Alternately the HL10 lifter can be used. 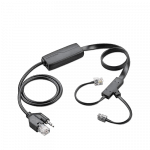 Note 6 EHS cable APN-91 preferred for remote answer (note: it only works with the i-SIP/N-SIP versions of the DT700 terminals). Alternately the HL10 lifter can be used. 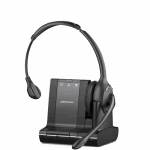 3 – Understanding What’s Required For A Corded NEC Headset Solution. 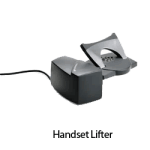 To have a corded commercial grade NEC headset solution you will need two items; the headset and either an amplifier or a direct-connect cable. 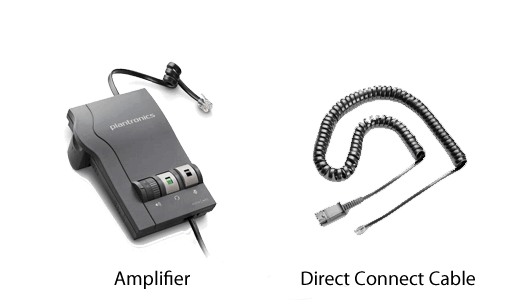 Headsets, amplifiers and direct connect cable all join together using a quick-disconnect connection. 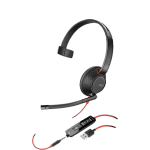 The first thing to understand about commercial grade NEC headsets is the headset cable terminates in what the industry calls a “quick-disconnect” connection. This connection allows you to leave your headset on at all times and quickly disconnect from the amplifier or direct connect cable when you need to walk away from your desk. 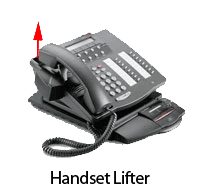 To connect your headset to your NEC telephone, you also need an amplifier or direct connect cable, depending on the model of your NEC phone. 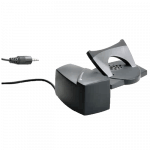 You can view your options in our NEC Headset compatibility chart located on this page. As you can see on the amplifier and cable, they terminate on one end with a modular clip, which will plug into your NEC phone. Originally, an amplifier was required for most NEC telephones when using headsets. NEC worked closely with Plantronics to engineer many of their phones to have the amplifier built into the NEC telephone. This eliminated the use of an amplifier and allowed a less expensive direct connect cable to be used with standard H-series headsets. The only negative to using a direct connect cable is you lose your ability to control your outgoing voice volume. An amplifier gives complete volume control for your speaker and microphone. When using a corded headset on NEC telephones, most of the older NEC phones will use a headset and amplifier. 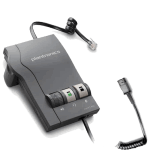 NEC has worked closely with Plantronics and designed their newer phones with the amplifier built into the phone so only a direct-connect cable or 2.5mm cable is used with a headset. If using a newer NEC phone with a headset port, most likely you can use any H-series headset with a NEC Direct-Connect cable. 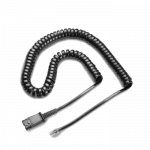 The cable will plug into your headset port and you will simply press a ringing line to answer and the ‘headset button’ to disconnect the call. The advantage of using a Direct-Connect cable versus an amplifier is cost. The cable will be $28.50 versus $72 for an amplifier. The disadvantage of using a Direct-Connect cable is it only works on compatible phones (See our compatibility chart above) and you can’t control your out-going voice volume. If you’re soft-spoken, your caller will have a hard time hearing you. 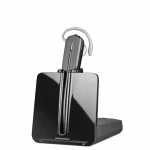 5 – Wireless Headset Options for NEC Phones. You have a wide range of wireless headsets to choose from for your NEC phone. You can chose between different styles and functionality. 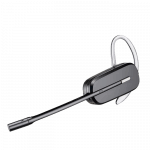 A commercial grade wireless headset solution is purchased as a complete system (Base/Charger, Headset, A/C Power Adapter are included). 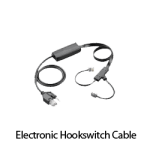 Optionally a Handset Lifter or Electronic Hookswitch Cable (EHS) will need to be purchased to answer and hang up calls remotely. The base/charger controls compatibility, microphone volume, speaker volume, and also acts as the charger when your headset is not in use. There are LED lights on the base to indicate power, charging and other features.